It is so true that documenting our thoughts and experiences is a crucial step in remembering them. Thankfully we are blessed with many choices on how to cement memories of experiences both indoor and out. In a recent edWeb.net webinar entitled “Step Outdoors with Digital Storytelling: Integrating Storytelling and Science,” Rebecca Morris, MLIS, Ph.D., Adjunct LIS Faculty & Topic Center Editor, School Library Connection, discussed some of the choices for digital storytelling and what they can do. Watch the webinar for more tips on assessment. ThingLink, a free app available for iOS and Android, allows you to annotate images and videos with additional notes, photos, audio, video and other multimedia. Morris suggested providing a picture of a landscape and having students make it interactive. 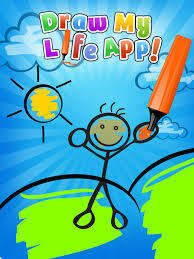 Here are some sample ThingLink projects. Vine Camera (previously called Vine), is a free app for iOS and Android for making short videos, typically of about 10 seconds, which can be captioned. Morris suggested having students use them to reflect on service project or field trip; share brief personal narratives; paraphrase key principles of what is learned; make predictions; or record reactions to an event. 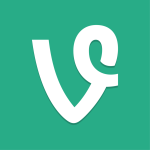 Here are some examples of vines. Adobe Spark (formerly Adobe Voice) is a free online and mobile design app which lets users easily create interactive graphics, web pages, and animated videos. Morris suggested using it to sequence science cycles or document processes. Spark is easy to learn and use. It asks for an e-mail address and and birth year, so students under 13 years old to will be using it, you will need an Enterprise ID associated with your school. Here are some sample Adobe Spark projects. VoiceThread is an online media player which allows for shared comments.via text, audio, or video. Morris suggested using it to create a single-image story with a poem’ narrate a vdeo, or provide voice-based feedback. Here is a VoiceThread example. If you let students use Twitter or Facebook, Morris suggested using them to track or reflect on learning activities or events, or construct a persona of a notable historical figure. TouchCast Studio is a free app for iPad which allows students to make news shows, interviews, and reenactments. Click here for examples. 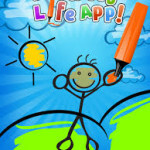 Draw My Life (iOS) and Draw My Story (Android) are free apps which allow you to create hand-drawn fast-motion videos using whiteboards and markers, to which you can add music, narration, and more. See an example here. Sway is Microsoft’s free online and device app which comes with a library of photos and videos to create automatically animated slideshows. Here are some examples of Sway projects. Tagged digital storytelling. Bookmark the permalink.